Helen Hunt was a writer, an author and a social activist in the late 19th century who was even called “The Greatest Poet in America” by Ralph Waldo Emerson. After she passed away in 1885 her husband buried her in her favorite spot near Cheyenne Creek which is now known today as Helen Hunt Falls. 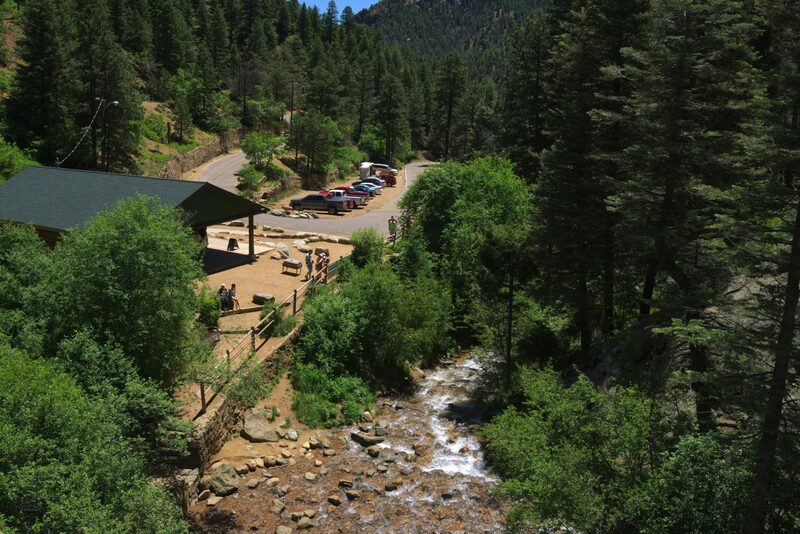 Located at the base of the trail is the visitor center where you can find information on the history of the Cheyenne Canyon area, snacks, water, and even some guided tours along the trail. At the start of the trail is a map of the United States with pins representing visitors from all over the country. The hike itself is a fairly short and simple one that takes you up beside the face of the falls, then back around to another creek and a promontory from which you can view the entire valley and The Silver Cascade Falls. 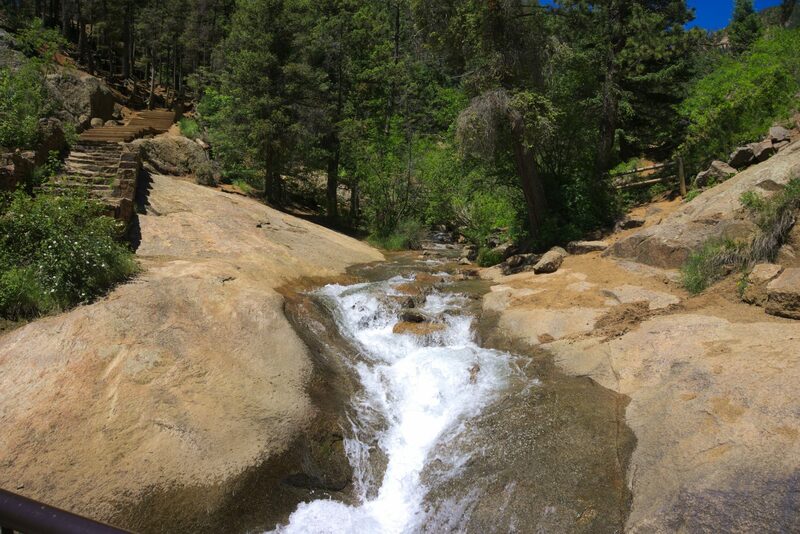 The trail is also well kept with stairs at the steep parts and handrails to guide you nearly every step of the way. You can even bring your furry best friend, provided they are kept on a leash. 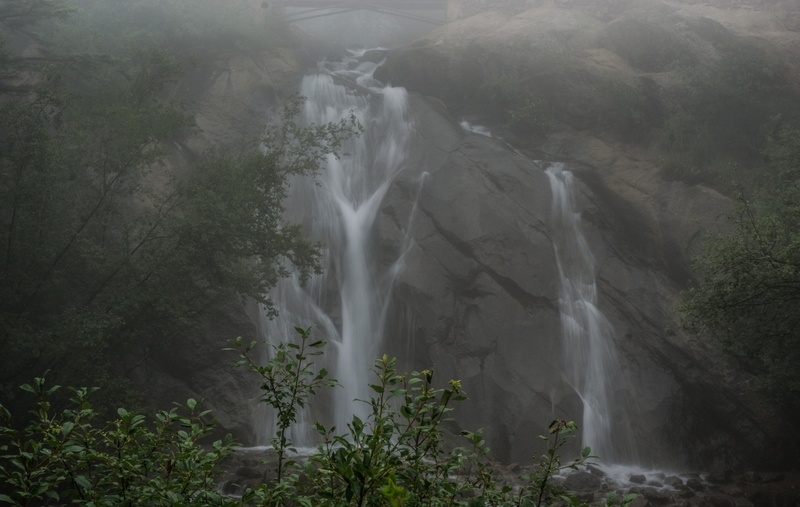 With a short hike of 0.1 miles to the top of the falls, you can continue further for views of the upper falls. 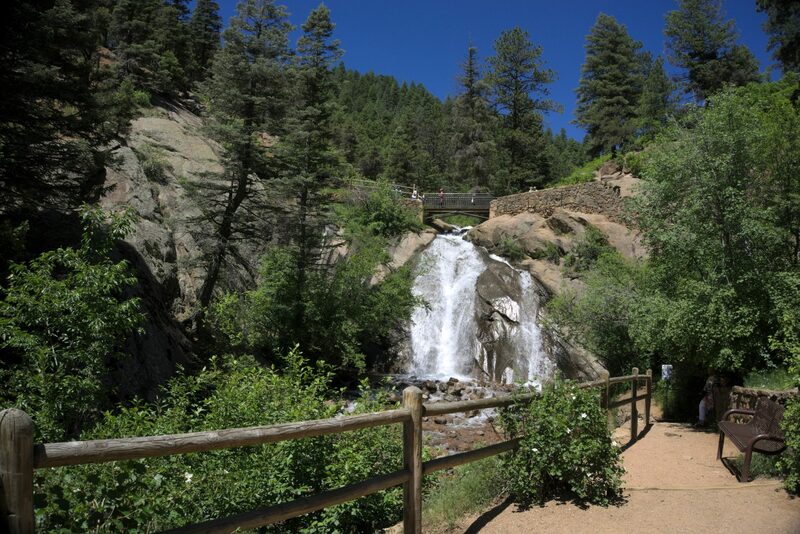 Making the Helen Hunt Falls hike perfect for newcomers, families, or experienced hikers who just want to relax and enjoy the sights and sounds of Cheyenne Canon. This entry was posted in Cheyenne Canyon, Community, Hikes, Parks 'N Barks and tagged Cheyenne Canyon, colorado, colorado springs, Outdoor, Recreation, Tourist Attractions, waterfalls. Bookmark the permalink.